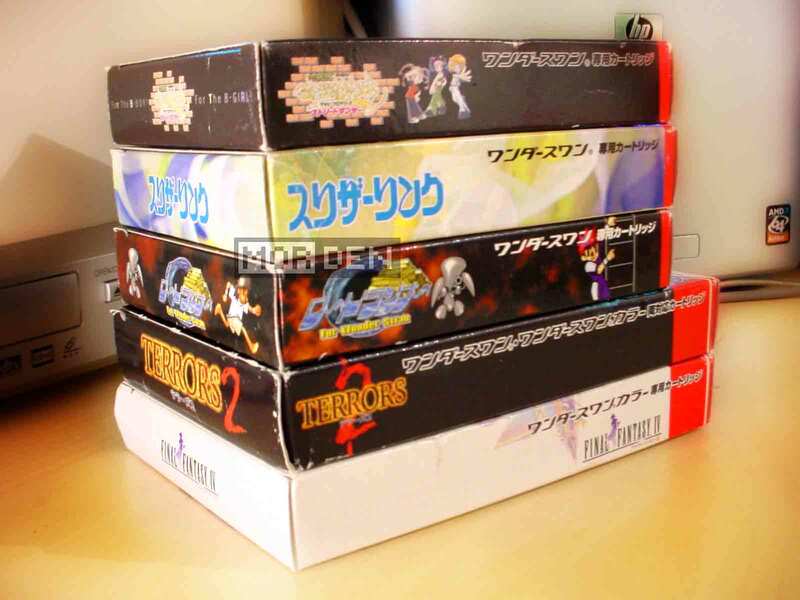 Today I've recieved a package containing five new [to me anyway] WonderSwan titles. Nothing major and nothing particularly hard to find. First one is a Dance Dance Revolution type of game featuring a Japanese TLC knockoff trio, wuz↑b?, or wasabi. "Wasabi Purojusu Sutorito Dansa" is a music game which suffers what no music game should ever suffer from - bad, bad, bad sample and sound quality. Enough said. The next one is "Surizaa Rinku" or Slither Link. It's a logic puzzle game with really simple graphics and complex rules. The whole thing evolves around connecting horizontally and vertically adjacent dots making a line which later, if you're any good, should form a loop. There's even more to it, but I won't go into details, look it up. Game number three. Yes, this is yet another port of Lode Runner, or "Roodo Rana". I have to say that the WonderSwan Mono version is rather enjoyable, especially when played on Crystal [no ghosting]. I guess most of you know the title, so enough about that. TERRORS 2. If you're not japanese, or you can't read japanese, this game will be pretty much useless. Not to mention it's not even a game really. It's a kind of interactive horror novel in which you, the reader, can choose a path at given moments. It comes with a nice collectable card though. Last but not least, the WonderSwan Color version of Final Fantasy IV. Not as good as the first two remakes [being an SFC title, it didn't get the same treatment in terms of graphics], but enjoyable nonetheless. Strangely enough, Square jumped over the third game so the complete WonderSwan Final Fantasy lineup consists of Final Fantasy I, II and IV. I guess they saved the third one for the DS. 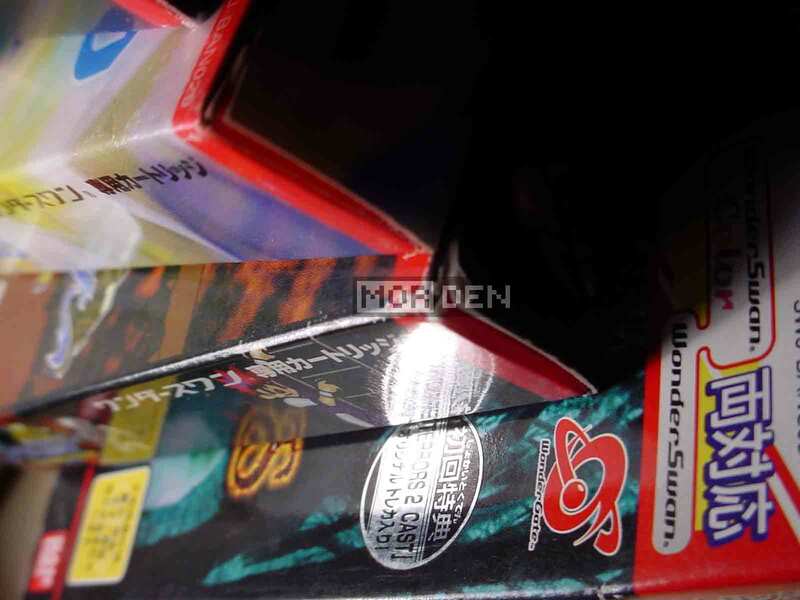 2007.11.08 Thu ワンダースワン ★ Wonderswan Comment Tweet This!